Tile might not be the most obvious choice for flooring material in a bedroom, but there are those rare interiors when it’s the ideal choice. Tile can be ceramic, porcelain, stone, or terra cotta, and is most suitable in warm-weather climates, keeping your feet cool as you wake each morning. In the US, you’ll find tile floors mostly in Florida, the Southwest, and coastal communities. Homes in the Mediterranean also gravitate toward tile floors, adding texture and pattern to structures with history and charm. 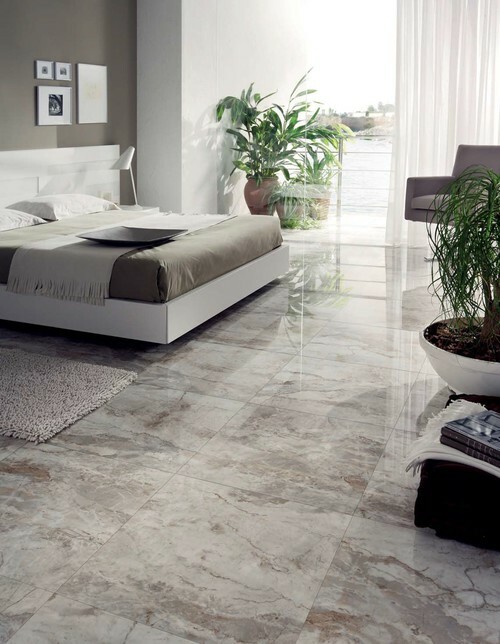 Get inspired by these five beauteous bedrooms with tile flooring. 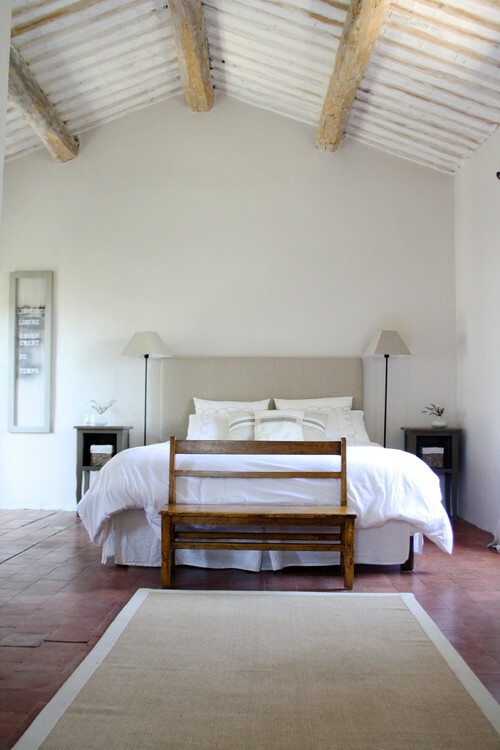 This Amsterdam bedroom boasts whitewashed walls and Provence-style terra cotta floors. The design is simple, earthy, and attractive. Original to the house, the ceiling beams in this Rasteau, France bedroom are 800 years old. 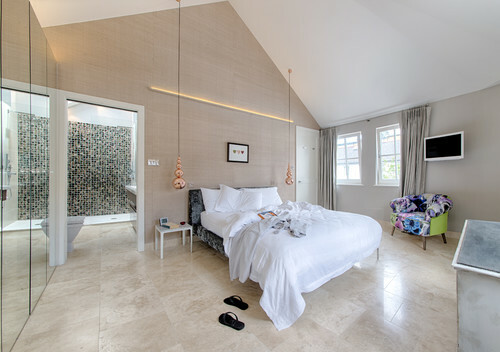 The large, square tile keeps the palette neutral in the renovated guest quarters. 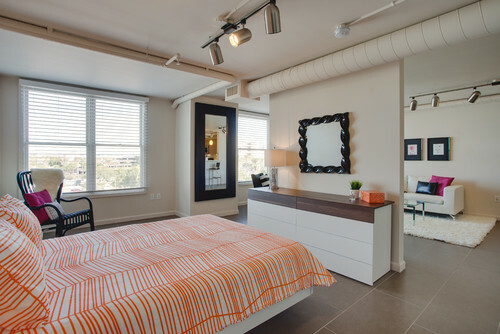 Sleek and modern, this Chicago bedroom with a marble floor pulls out all the stops. It’s elegant, classic and has a view of the water! What more could you want in a master bedroom? A Scottsdale home uses tile throughout the bed space and the sitting room. In this case, tile as a flooring material is an excellent choice, considering the desert-like conditions in Arizona. For whatever reason, the designer of this London bedroom opted to extend the tile from the bathroom. If I’m honest, I would’ve rather seen hardwood floors or a flat-weave carpet here to designate the change of space. The beige color is a good choice –– it blends well and doesn’t detract from the rest of the décor.